Mid-Century modern design is the inspiration for the Deryn Collection. Wide, dramatically curved arms rise to the straight back that is synonymous with this classic style. 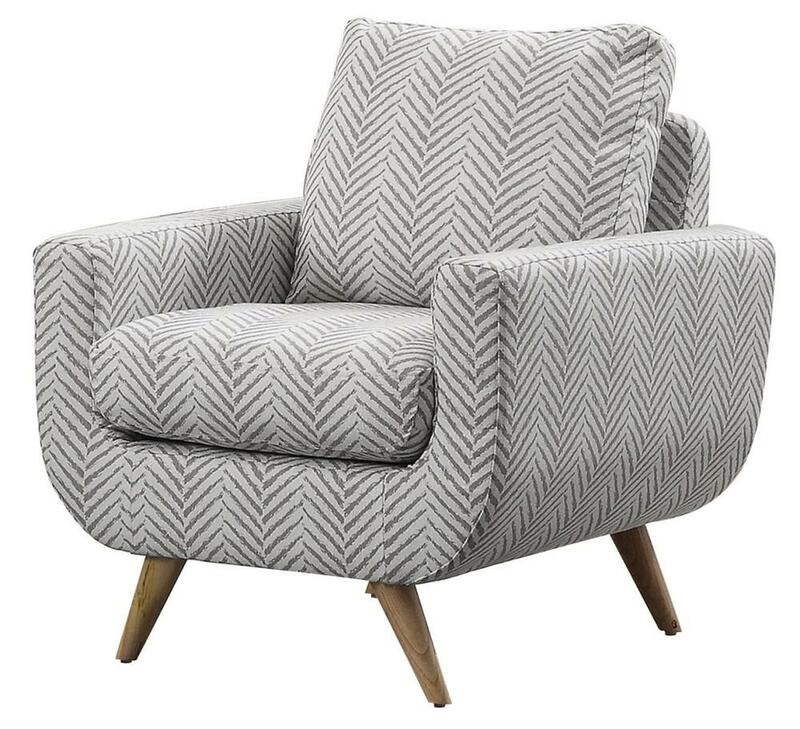 Offered as a stand-alone accent to complement your home’s décor or as part of the full Deryn Collection, the chair is featured in a modern grey or teal herringbone pattern. Natural tone finished legs support the frame while tailored stitch tufting lends further accent to this thoroughly modern collection. 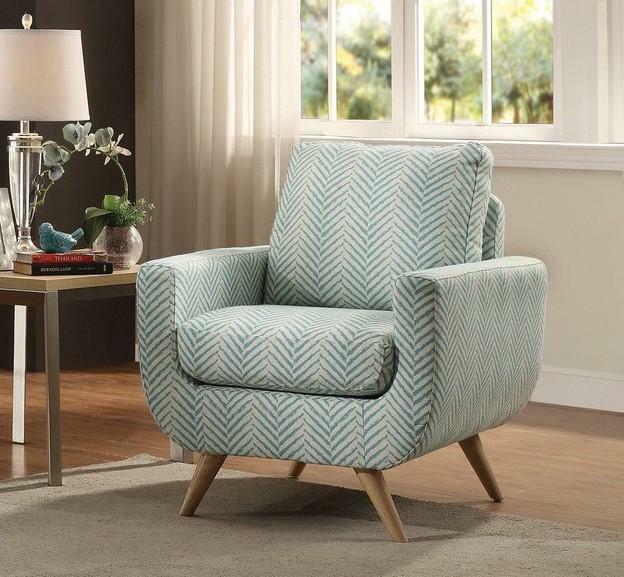 FEATURES: Grey / Teal Color ~ Contemporary Style ~ Curved Arms ~ Fabric Cover ~ Stitched Tufting Accents ~ Tall Legs.